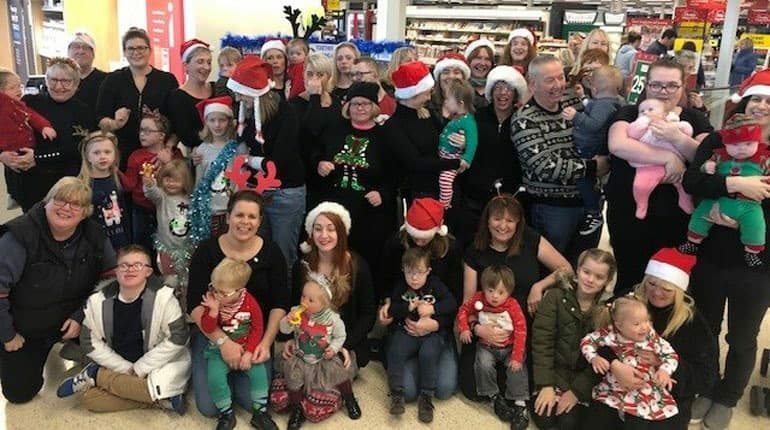 Together 21 spread the joy of Christmas last weekend when they welcomed customers to the Tesco store in Newton Aycliffe by signing and signing a wonderful rendition of “This is Me” from the popular film ‘The Greatest Showman’ and a selection of Christmas Carols. The children, their families and PCP staff and volunteers were keen to show their gratitude to the local community for their continued support that enables this vital service to flourish. Thanks to the Tesco Bags of Help scheme, Together 21 was awarded £4,000 through a community vote of Tesco’s shoppers. 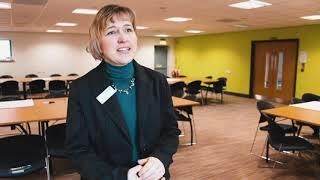 Jo Walker, Together 21 development worker said: “We thought as a project based around community, it was important to show our appreciation for the support. Together 21, a parent led project based at the Pioneering Care Centre in Newton Aycliffe, serves families from throughout the North East and offers learning, fun and friendship to children with Down syndrome and their families. It provides access to a comprehensive programme of tailored learning and life skills for children from birth to 18 years old, helping them acquire the essential skills that will equip them to meet the future with confidence. Maggie Hart, Together 21 educational consultant, added: “It is important that this support gets to our families as early as possible, to give our beautiful children the best start in life and allows the families to both learn alongside their child and gain confidence themselves. Thanks to the generosity of Tesco shoppers and the friends and family of Together 21 the event raised a further £397.40 to support the service activities.